As an Associate Lawyer, you will play a key role in managing legal risk and costs relating to corporate legal matters and compliance for Vancity. Reporting to the Director of Legal, you will work collaboratively with the legal team, as well as provide legal support and guidance to Compliance, Privacy, Anti-Money Laundering, and other business leaders across the organization. Monitoring and advising on developments in the legislative and regulatory landscape to support Vancity’s Compliance group. 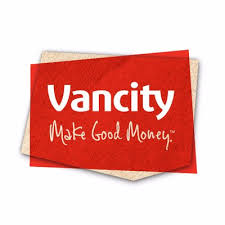 Providing timely and responsive legal advice enabling Vancity to make business decisions with a clear and well-informed understanding of any related legal risks and impacts at the business level. Identifying opportunities to continuously improve the service delivery model for legal services that is aligned to business and strategic goals. Providing support to Legal Counsel and Director of Legal Services on legal cases and projects. Ability to quickly assess complex situations, laws and regulations and develop practical options to respond, which display sound judgment and legal knowledge to the business. Solid research and analytical skills to assess and recommend course of action on trends, and to identify risks and opportunities that may impact the unit. Advanced communication and interpersonal skills to provide highly specialized expertise and advice; address challenges and issues for the designated area; and represent the area across the organization. Ability to drive issues to a quick resolution that factors in many legal and non-legal variables. Minimum 3-5 years of post-call legal experience in Financial Services, Compliance and Regulatory Matters or a regulated industry. Member in good standing of the Law Society of British Columbia.